What actually happens at the end of King Roger? The music, supported by the stage direction, has the king stand atop a mountain and greet the dawn in a burst of glory which suggests that he has come to reconcile and master within himself the competing impulses driving the entire opera up to that point: the Apollonian need for order and the Dionysian desire for pleasure. Whatever the nature of the revelation experienced by Roger, Holten makes clear from a still-taboo act that life in his city will never be the same after the manifestation of power wielded by the Shepherd. In Michel Houllebecq’s latest novel Soumission the city is Paris and the religion Islam, but the dilemma facing its hero is identical: can reconciliation really be effected, or would that process in itself be a triumph for the intellectual West? Would it not be better and easier to submit to these forces from the East? The long brocaded coat for the Shepherd leaves open the his exact place of origin, but it isn’t Mount Olympus: the long melismas of his vocal part float from the same high tower as Szymanowski’s song-cycle Songs of an Infatuated Muezzin, and Steffen Arfing’s designs make such a link plausible and powerful, while dressing Roger, his wife Roxane and his citizens in the fashion – if that’s quite the word – of Szymanowski’s Poland, Paris-influenced for Roxane’s salon style, suits slightly too tight for the men. Until Act 3, the production lays bare the opera’s conflicts with all-too-forceful symbolism. Motifs and melodies emerge from Szymanowski’s orchestral mist and just as quickly vanish. Trying to grasp them is like free climbing: maybe the sense of unreality extends to the drama, and we are inside Roger’s mind. 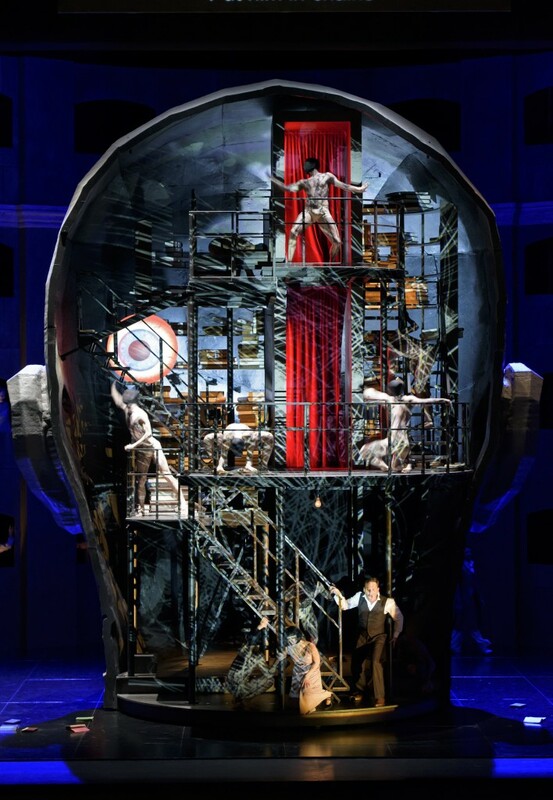 This is the idea embodied by the set of the Second Act, in which Roxane tries and fails to mediate between Roger and the Shepherd, who has been put on trial in one of Szymanowski’s several revivals of operatic archetypes. East and West, mind and body, sea and land, city and country: culture clashes are obvious, but light and shade are more literally present in Jon Clark’s lighting. For real subtlety, however, tune in to the sounds coming from the pit. The synthetic nature of Szymanowski’s score plays to the strengths of Antonio Pappano, with its passing moments of ecstasy (debts to Strauss), suspense (Debussy), modally Asian dances (Ravel) and surrender to the lyric spirit (Puccini). The soundworld is led, literally and artistically, by the solo violin of Peter Manning, who has the kind of fantasy in his playing that Szymanowski and others so prized in Pawel Kochánski, who inspired the composer to write so much for the instrument. Pappano gives plenty of time to the awesome rite at the opera’s opening and expertly shapes the Bacchic dances and frenzies of exaltation in the second and third acts. The casting is unusually fine. As the king’s faithful adviser Edrisi (Kurwenal to his Tristan) Kim Begley is forthright, ultimately helpless. 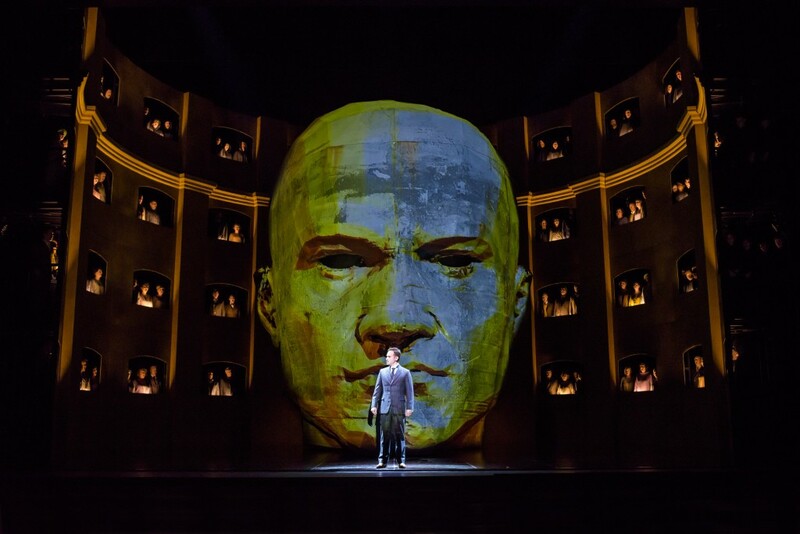 Roger himself is declaimed tirelessly and with native enunciation by Mariusz Kwiecień, who owned the stage even in his moments of vacillation (at the end of the first act) and humiliation (the close of the second – and possibly third). The king’s part does not demand (nor did it receive) the spun-sugar tone of Georgia Jarman’s Roxane: her Act 2 song accompanied by Manning’s violin was all the more intoxicating for its poise and paradoxically fined-down opulence. It is as well that Szymanowski did not write a duet for Roxane and the Shepherd (Saimir Pirgu), or the stalls might have swooned in a heap: soaring through the upper register where most of the role lies, Pirgu left most of those awkward Polish consonants behind and sang with a fluent, captivating ease (his solidly European-sounding rivals in record are earthbound by comparison). It was an evening of uncomfortable truths and intricate beauties, and the show runs until 19 May. See it if you can.